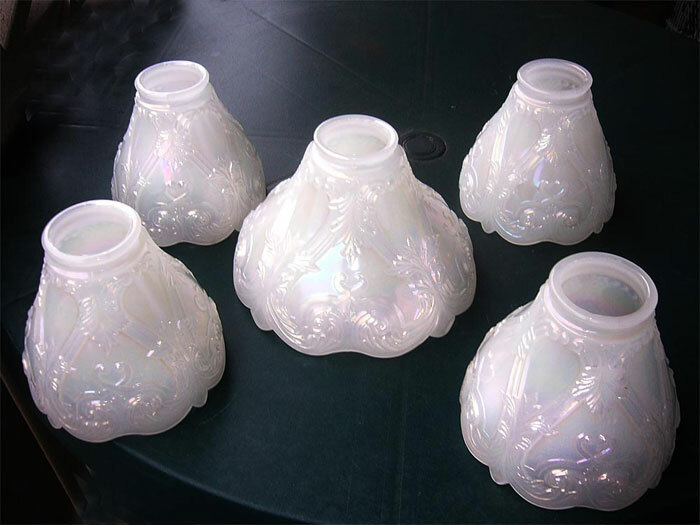 Thanks to Greg Dilian for providing the photos and information about these interesting lamp shades. They're called Luna in Harry Northwood, The Wheeling Years, by Heacock, Measell and Wiggins, and also may have been called Louis XIV. 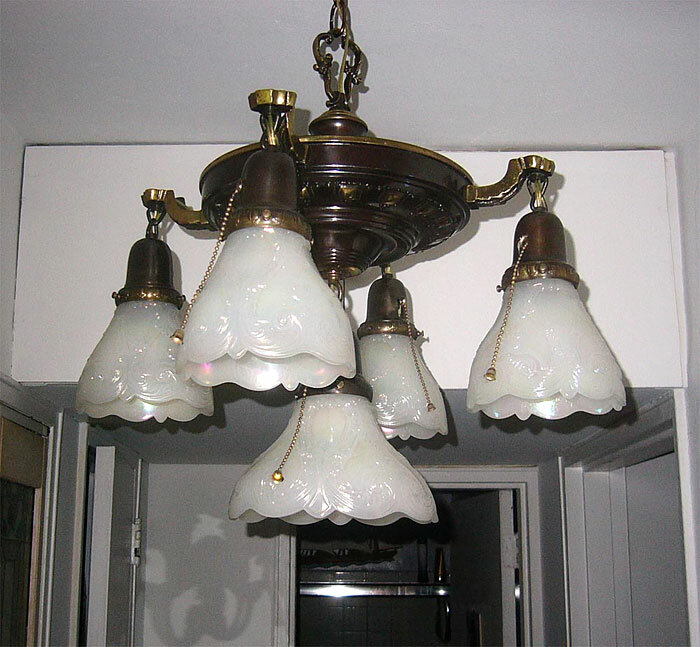 They apparently came in a set of four, the smaller ones #44 and the larger #45, and presumably they were intended to be used with the light fixture pictured above, with the four smaller ones surrounding the larger one in the center.